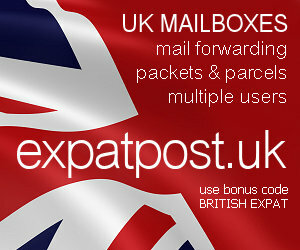 British Expat Forum • View topic - Dual citizenship... Help!! Hopefully someone will be able to help me, as I haven't had any success talking to officials to figure this out. I have found information online but the information I found is from 2004 and I am pretty sure it is outdated. I am pretty sure I am illegible for the UK citizenship. Now I am trying to find which application form I need and the one I think is the good one is called the BOT(A) form. The only thing is that at section 2, they ask me when did I settle in the UK, where I lived in the UK in the past 5 years, and all my absences from the UK during those 5 years. British citizenship may descend to one generation born abroad. So if you were born outside the United Kingdom or qualifying territory and one of your parents was a British citizen otherwise than by descent, you are a British citizen by descent. If you were born before 1 July 2006 you may not qualify if your parents were not married at the time of your birth. -Would they reject my application if my parents married a month after my birth? - What form do I actually need to fill out? I have been working on this for so long but I can't see the end of the tunnel! If anyone has any advice, or could answer a few of my questions I'd be so grateful!!! It's slightly complex in your case as your parents weren't married at the time of your birth. Unfortunately the website doesn't say what the detailed rules are. But you may possibly be a British citizen already. None of the other types of nationality will apply to you - the overseas categories are to do with Hong Kong and Britain's Overseas Territories, and the Protected Persons and Subject categories are to do with historical anomalies. So you'll either be a full British Citizen by descent, or you won't. Good luck, anyway, and let us know how you get on! do you think i'd be able to fill out the passport application instead of the citizenship application? Or do I need to do it before I can apply for the passport? You won't need to apply for citizenship at all - either you've got it or you haven't. It's a question of deciding whether you qualify under the rules. So you'll probably need to put in your passport application with all the relevant supporting documents (birth certificate, parents' birth certificates and marriage certificate) and let them sort it out. I agree with Dave's answer, I did wonder why you would want to define your UK citizenship if you haven't been there or lived there in the past 5 years? Just idle curiosity. Hi all, this is my first post so I apologize if it is in the wrong area. I would like to get a british passport and am wondering about eligibility. My circumstances are similar to the above post. My father was born in Scotland and came to Canada when he was a baby. He married in Canada and I was born in 1970. He became a canadian citizen in 1976. Do I qualify for a british passport? If so, where would I find the proper application? Thanks in advance! Sorry, he came to canada in 1952. If that matters. Your best bet is to follow the link and check for yourself - they've made the site a little more user-friendly, so you're presented with a series of questions which will determine whether you're a British Citizen or not. Since your father was born in Scotland, you probably are one. It would appear you are correct so I am going to apply for a passport and see what shakes out. Best of luck! Let us know how you get on. Dave wrote: whether you're a British Citizen or not. Since your father was born in Scotland, you probably are one.